Strategic deviance is important for companies to survive and develop. CEO is the core leader of management of an enterprise whose cognition and value can be reflected by personality charac-teristics and be critical to strategic decision-making. So CEO openness is closely associated with strategic deviance. At the same time, TMT characteristics play important roles in the formation of strategic deviance. 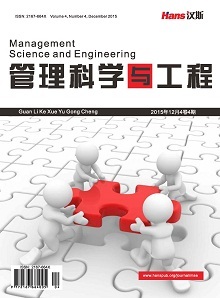 Based on Upper Echelon Theory and so on, using the sample of Chinese A-share manufacturing listed companies in Shanghai and Shenzhen from 2011 to 2015, this paper empiri-cally tests the relationship between CEO openness and strategic deviance. Meanwhile, we investi-gate how TMT characteristics moderate the relationship between CEO openness and strategic de-viance. The results show that there is a positive relationship between CEO openness and strategic deviance. TMT characteristics have a context effect that TMT size strengthens the relationship between CEO openness and strategic deviance and TMT tenure weaken the relationship between CEO openness and strategic deviance. This paper enriches the researches of the factors of strategic deviance and the effect of CEO openness. What’s more, this paper offers suggestions on appointment of CEO and construction of TMT to enterprises. Di Maggio, P.J. and Powell, W.W. (1983) The Iron Cage Revisited: Institutional Isomorphism and Collective Rationality in Organi-zational Fields. American Sociological Review, 48, 147-160. Geletkanycz, M.A. and Hambrick, D.C. (1997) The External Ties of Top Executives: Implication for Strategic Choice and Performance. Administrative Science Quarterly, 42, 654-681. Tang, J., Crossan, M. and Glenn, R.W. (2011) Dominant CEO, Deviant Strategy, and Extreme Performance: The Moderating Role of a Powerful Board. Journal of Management Studies, 48, 153-178. Hiller, N.J. and Hambrick, D.C. (2005) Conceptualizing Executive Hubris: The Role of (Hyper-) Core Self-Evaluations in Strategic Decision-Making. Strategic Management Journal, 26, 297-319. 巩键, 陈凌, 王健茜, 王昊. 从众还是独具一格？——中国家族企业战略趋同的实证研究[J]. 管理世界, 2016(11): 110-124. Deephouse, D.L. (1999) To Be Different, or to Be the Same? It’s a Question (and Theory) of Strategic Balance. Strategic Management Journal, 20, 147-166. 叶康涛, 张姗姗, 张艺馨. 战略差异与会计信息的价值相关性[J]. 会计研究, 2014(5): 44-51. 王化成, 张修平, 侯粲然, 李昕宇. 企业战略差异与权益资本成本——基于经营风险和信息不对称的中介效应研究[J]. 中国软科学, 2017(9): 99-133. 殷治平, 张兆国. 管理者任期、内部控制与战略差异[J]. 中国软科学, 2016(12): 132-143. Delgado-Garcia, J.B. and Fuente-Sabate, J.M.D.L. (2010) How Do CEO Emotions Matter? Impact of CEO Affective Traits on Strategic and Performance Conformity in the Spanish Banking Industry. Strategic Management Journal, 31, 562-574. Wowak, A.J., Mannor, M.J., Arrfelt, M. and Mcnamara, G. (2016) Earthquake or Glacier? How CEO Charisma Manifests in Firm Strategy over Time. Strategic Management Journal, 37, 5862-603. Hambrick, D.C. and Mason, P.A. (1984) Upper Echelons: The Organization as a Reflection of Its Top Managers. Academy of Management Review, 9, 193-206. Hambrick, D.C. (1995) Fragmentation and the Other Problems CEOs Have with Their Top Management Teams. California Management Review, 37, 110-127. Finkelstein, S. (1992) Power in Top Management Teams: Dimensions, Measurement, and Validation. Academy of Management Journal, 35, 505-538. Krause, R., Priem, R. and Love, L. (2014) Who’s in Charge Here? Co-CEOs, Power Gaps, and Firm Performance. Strategic Management Journal, 35, 23-34. Datta, D.K., Rajagopalan, N. and Zhang, Y. (2003) New CEO Openness to Change and Strategic Persistence: The Moderating Role of Industry Characteristics. British Journal of Management, 14, 101-114. 连燕玲, 贺小刚, 高皓. 业绩期望落差与企业战略调整[J]. 管理世界, 2014(11): 119-130. 张正堂. 企业内部薪酬差距对组织未来绩效的实证研究[J]. 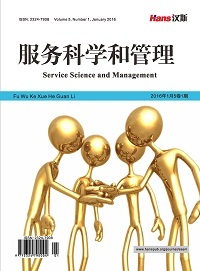 会计研究, 2008(9): 81-87. Nadkarni, S. and Herrmann, P. (2010) CEO Personality, Strategic Flexibility, and Firm Performance: The Case of the Indian Business Process Outsourcing Industry. Academy of Management Journal, 53, 1050-1073. Herrmann, P. and Nadkarni, S. (2014) Managing Strategic Change: The Duality of CEO Personality. Strategic Management Journal, 35, 1318-1342. Araujo-Cabrera, Y., Suarez-Acosta, M.A. and Aguiar-Quintana, T. (2016) Exploring the Influence of CEO Extraversion and Openness to Experience on Firm Performance. Journal of Leadership & Organizational Studies, 24, 1-15. 陈传明, 孙俊华. 企业家人口背景特征与多元化战略选择: 基于中国上市公司面板数据的实证研究[J]. 管理世界, 2008(5): 124-133. 吴建祖, 毕玉胜. 高管团队注意力配置与企业国际化战略选择: 华为公司案例研究[J]. 管理学报, 2013(9): 1268-1274. 刘运国, 刘雯. 我国上市公司的高管任期与R&D支出[J]. 管理世界, 2007(1): 128-135. 吴建祖, 关斌. 高管团队特征对企业国际市场进入模式的影响研究——注意力的中介作用[J]. 管理评论, 2015, 27(11): 118-131. 卢馨, 张乐乐, 李慧敏, 丁艳平. 高管团队背景特征与投资效率——基于高管激励的调节效应研究[J]. 审计与经济研究, 2017, 32(2): 66-77. Goldberg, L.R. (1993) The Structure of Phenotypic Personality Traits. American Psychologist, 48, 26-34. Eisenhardt, K.M. (1989) Making Fast Strategic Decisions in High-Velocity Environments. Academy of Management Journal, 32, 543-576. Judge, W.Q. and Miller, A. (1991) Antecedents and Outcomes of Decision Speed in Different Environmental Contexts. Academy of Management Journal, 34, 449-463. 薛有志, 李国栋. 国际化战略实施与高层管理团队构成实证研究[J]. 管理学报, 2009, 6(11): 1478-1485. Peng, M.W. and Luo, Y.D. (2000) Managerial Ties and Firm Performance in a Transition Economy: The Nature of a Micro-Macro Link. The Academy of Management Journal, 43, 486-501. Carpenter, M.A. and Westphal, J.D. (2001) The Strategic Context of External Network Ties: Examining the Impact of Director Appointments on Board Involvement in Strategic Decision Making. The Academy of Management Journal, 44, 639-660. Sanders, W.G. and Carpenter, M.A. (1998) Internationalization and Firm Governance: The Roles of CEO Compensation, Top Team Composition, and Board Structure. Academy of Management Journal, 41, 158-178. Haleblian, J. and Finkelstein, S. (1993) Top Management Team Size, CEO Dominance, and Firm Performance: The Moderating Roles of Environmental Turbulence and Discretion. Academy of Management Journal, 36, 504-529. Hambrick, D.C. and D’Aveni, R.A. (1992) Top Team Deterioration as Part of the Downward Spiral of Large Corporate Bankruptcies. Management Science, 38, 1445-1466. Pfeffer, J. (1983) Organizational Demography. JAI Press, Greenwich, 299-357. 何威风, 刘启亮. 我国上市公司高管背景特征与财务重述行为研究[J]. 管理世界, 2010(7): 144-155. 曾萍, 邬绮虹. 女性高管参与对企业技术创新的影响-基于创业板企业的实证研究[J]. 科学学研究, 2012(5): 135-143. Driscoll, J.C. and Kraay, A.C. (1998) Consistent Covariance Matrix Estimation with Spatially Dependent Panel Data. Review of Economics and Statistics, 80, 549-560. Pfeffer, J., Salanick, G.R. and Leblebici, H. (1976) The Effect of Uncertainty on the Use of Social Influence in Organizational Decision Making. Administrative Science Quarterly, 21, 227-245. 李端生, 周虹. 高管团队特征、垂直对特征差异与内部控制质量[J]. 审计与经济研究, 2017, 32(2): 24-34. Bantel, K.A. and Jackson, S. (1989) Top Management and Innovation in Banking: Does the Composition of the Top Team Make a Difference. Strategic Management Journal, 10, 107-124. 曾德明, 李励, 王泓略. 研发强度对二元式创新的影响——来自汽车产业上市公司的实证研究[J]. 科学学与科学技术管理, 2016, 37(1): 69-79.